Jan. 22, 2007--The Arkansas State University Theatre has announced the cast of the February production of “The House of Yes” by Wendy MacLeod. The play illustrates the life of a dysfunctional Virginia family that is parallel to the famous Kennedy family in outrageous, edgy comedic style. Celebrating Thanksgiving takes on a whole new meaning when the Jackie-O obsessed daughter and her twin brother reveal their family secret. 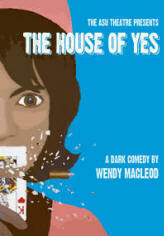 The ASU Theatre’s production of “The House of Yes” is under the stage direction of Molly Simpson, professor of theatre. Scenic and lighting design will be under the direction of Bob Simpson, professor of theatre. Kelly Schaefer, assistant professor of theatre, will serve as costume designer, and Ashlee Wiseman, senior theatre major from Searcy, will serve as the technical director. Stage management duties for the production have been assigned to Sophia Barrett, a senior theatre major from Jonesboro. The cast includes Whitney Elliott, a junior theatre major from Magnolia, as Mrs. Pascal; Katie Saul, a sophomore theatre major from DeValls Bluff, as Jackie-O; Ross Willett, a senior theatre major from Jonesboro, as Anthony; Jared Weston, a sophomore theatre major from Jonesboro, as Marty; and Elizabeth Lawson, a junior theatre major from Marion, as Lesly. 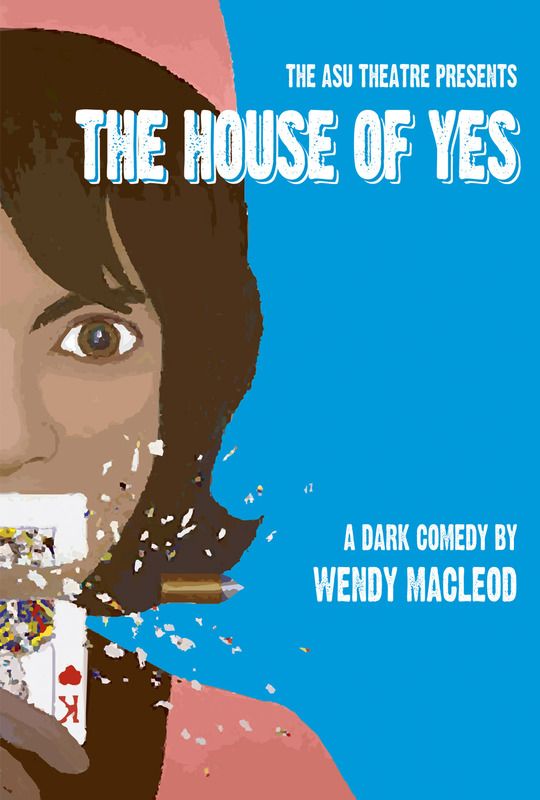 “The House of Yes” will be performed at Fowler Center February 9, 10, 13 and 14 at 7:30. A “meet the company” dessert reception will follow the February 9 opening night performance. Tickets may be purchased for reserved seating in advance at the ASU Central Box Office in the Convocation Center or by calling 972-ASU1. Tickets are also available online at tickets.astate.edu. Reserved seating tickets (if available) may be purchased at the door on the evening of the performance. Tickets are $10.00 ($8.00 in advance). Reservations in advance are highly recommended. This play is suitable for mature audiences only. Children under the age of six will not be admitted to the ASU Theatre. Please arrive early; latecomers will not be seated until intermission.